Millions of drivers on Britain’s roads are over 65. With age comes wisdom, but unfortunately senior drivers are at a higher risk of a fatal car accident than any other age group – even more so than teenagers. With this in mind, it is important for drivers of all ages, but especially those over 65 to carefully consider whether they are fit to drive and how to make their journeys safer. Have annual eye checks. It does not need stating, but good vision is vital. If you can wear glasses to improve your vision do so, but if it is too bad, do not drive. An aversion to bright glares at night might signal other eye problems like glaucoma, so consult a doctor or optician for more information. Exercise – it keeps you fitter and more alert so it both reduces the risk of an accident and helps you if you are in one. Good drivers are safe drivers. Always ensure your car is in good condition and that you feel well and fit. 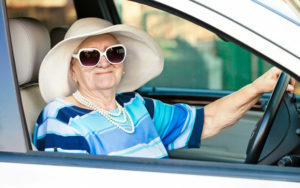 To read more about these tips and to get more information on being a senior driver, check out this article full of safe driving tips for older adults.